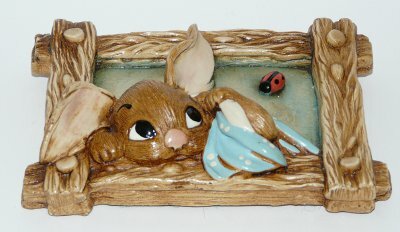 Rare PenDelfin rabbit Wakey plaque from the early PenDelfin Gallery Series range that PenDelfin produced. 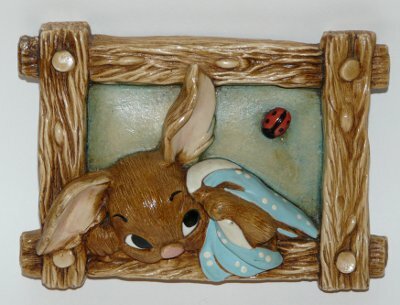 This PenDelfin plaque was designed by Doreen Noel Roberts and was only produced by PenDelfin from 1968 until 1971. 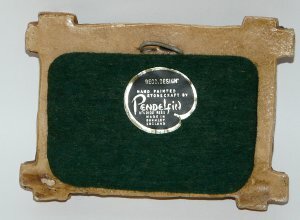 This PenDelfin plaque has its green felt, original hanging hook and PenDelfin artist palette Regd. Design pottery label on its back. Condition: Very good overall condition. It has a small re-glued chip on one corner and a couple of paint touchups but displays very well and has strong colouring. 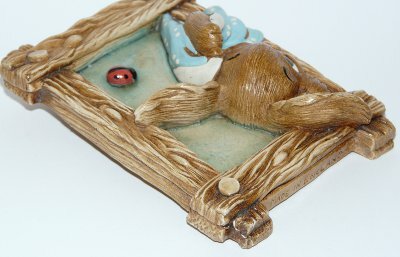 A nice example of an early piece of PenDelfin pottery.